Dave Saddoris, Tom Parent, Niki Stavrou, David Potosky, and Arthur Knowles. Absent: Darrell Gerber, Mary Hunter, JobyLynn Sassily, and Karen Pieper. Meeting was called to order at 7pm. There were no comments from the community forum. David Saddoris clarified his motion (previously made by email) for an amendment to the letter regarding 4307 Wentworth. The sentence should read “letter approving county’s concept for the property contingent…..” that will be created and executed.” All voted yes. Lois Epstein, KFNA Bookkeeper, walked us through balance sheet and income statement for 7 months through 12-31-07, explaining how to read and understand the financial reports. David Brauer asked if there was a way to indicate more about the timing of our cash flow, like a “cash flow projection”. Sarah explained that she will bring forth a proposed budget to the February meeting. Projections for future funding will be explained in more detail then. David Potosky asked for clarification of NRP Funds. Sarah stated that as we proceed with budgeting for this year we need to evaluate if we can keep running at the same capacity as before. Epstein said she can modify the reporting for the next fiscal year to include a budget column on the monthly report—Linnes-Robinson will modify our budget report this year to align more closely with the General Ledger so this is possible. Discussion ensued about cash flow, including NRP, loan repayments and in the end it was agreed that we want to be able to see if we are “on budget” or not. Find “the happy place” between too little info and too much detail. Budget tracking through the year and where our cash flow stands was felt to be important. FUTURE OF NRP and future funding for KFNA. We originally received a plea to write a letter in support of NRP funding. After looking at other neighborhoods “form” letters, it seems uncertain if the letter is still necessary. Do we want to plug for 2009? Do we think that 2 million is enough to keep us going? Will probably be less than 25K per neighborhood. Big question is we still don’t really know if the money is going to be there. There are concerns about the programs the city is going to be offering in lieu of NRP and that those programs will be less accessible to neighborhoods. We can choose whether to respond or remain silent. Arthur Knowles expressed strong concern that we should speak out. The questions remain: What can we do so that we can all make an informed opinion about NRP and our position? Can we send the letter asking the city to clarify certain points in their most recent decisions re: NRP? The Board decided that they needed more education on the subject and that they needed to get some links for board members, and residents alike, where they can inform themselves better about NRP the history and current activity. David Brauer will tweak the letter and send it. Sarah & David will meet w/ Bob Miller of NRP and talk to Elizabeth Glidden and Scott Dibble to see if a meeting can be arranged to discuss NRP in an informative way for board members. JobyLynn suggested that residents should be invited to such a meeting too – in advance of the Annual Meeting. That inviting residents will help educate them about NRP too, and will give us an opportunity to then remind them about the Annual Meeting and perhaps even encourage them to run for the Board. Unanimously voted to send the letter with the amendment as noted earlier. David Brauer asked every board member to try to recruit at least one new person to run for the board. Newsletter announcing the meeting comes out 1 month prior to the meeting. Discussion ensued regarding how to rev up interest to get a better turnout than at last year’s meeting. David Brauer mentioned that the potluck might not be as big of a draw as in previous years. 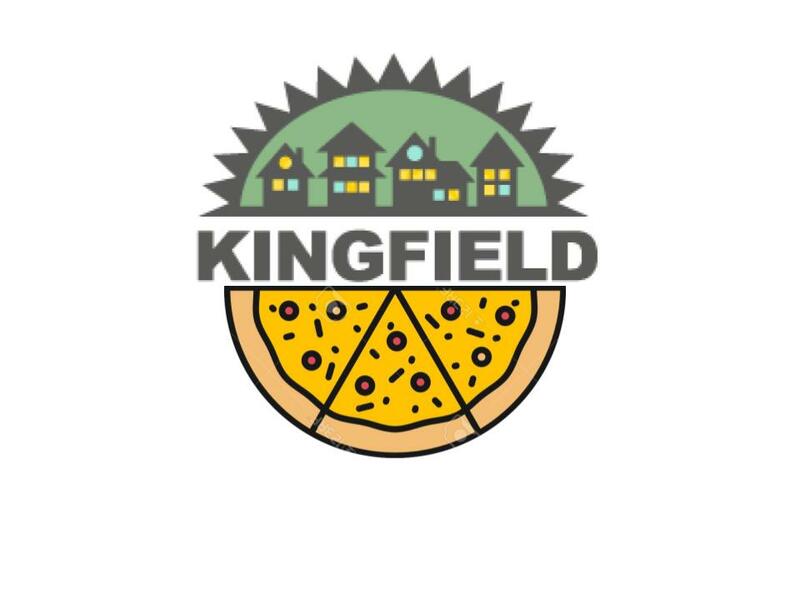 Tom Parent suggested we call on our neighborhood restaurants for food donations and publicize the pre-meeting time as “A Taste of Kingfield”. Niki Stavrou agreed to talk with some of the other restaurateurs in the neighborhood to get a feeling for the interest level about participation in such an event. She will report back at the February meeting. In discussing potential speakers who might draw an audience, Niki Stavrou suggested that at previous Annual meetings the speakers are often politicians and often sound like they’re just campaigning. What about something different like Julie Ristau to facilitate something to gather ideas from the residents about what they want to see in Kingfield (i.e. an interactive time rather than just listening to someone speak); or what about Jay Walljasper to talk about community and neighborhoods etc…as an alternative to inviting only politicians. JobyLynn suggested it’s important to have someone educating people about NRP – refer back to “invite the public to any meeting we might have for board members to learn about NRP” – then use the opportunity to tell them about at the annual meeting. Bruce, resident of Kingfield, asked about next summer tearing up of Lyndale Avenue and what kind of draw that might have for getting people to come to the meeting. Everyone is to think more about ideas before February meeting so we can invite speakers with plenty of notice. Another suggestion from Arthur was to invite the green party candidate ??name??. Or, Keith Ellison suggested by Tom Parent. Things are progressing regarding the development plans of 3700 Nicollet. Intermittent meetings are planned to educate community on programming, building design, and safety. People who have voiced opposition to the idea are attending meetings and are engaging in the process. Sarah announced there is now a separate email list for the 3700 Nicollet project. This week FAQ sheet will start answering those questions and will be sent to the email list and posted on the website. Arthur asked if King Bridge Partnership is dead for now. Answer was yes, but not forever. The money for King Bridge that is being held is fine sitting in our account. Website to be incorporated into KFNA’s. The discussion is the project will be reactivated next summer and funding will be sought makes more sense to let it lie now and use the completion of the RvierLake Greenway as an organizing point to connect the two segments. Website: Roll out is delayed. Website timeline is over the next two to four weeks. Feb 12-26 migrating old content. Finalizing migration and launch by March 2nd. Big savings by using Dream Host. Kingfield Wiki will be phase 2 of the website. New email addresses for everyone and more. 2 laptops have been donated to KFNA by David Potosky. Direct mailer has brought in approx $4000. Business sponsorship is down. Will send another letter to businesses. 40th and Lyndale unveiling is coming out sometime soon. KFNA office lease went up to $870 per quarter vs. $765. It’s a 4-year contract for deed to own. Niki offered to make some inquiries about the co-op and how exactly it works. Will report at the next month’s meeting. Tennis Center has applied for a grant that would require them to get involved in community organizing. Walldogs is in the black at this time. Arthur moved to adjourn at 8:50pm. David Potosky seconded. Meeting adjourned at 8:50pm.